Rachael Weasley - Now in Print: Album #2! Now in Print: Album #2! to listen to live recordings from last summer's tour! Click HERE to order a songbook. to my YouTube channel as I finish them... 3 so far! Songbook donation proceeds will fund a planned studio recording of Travelers and Troublemakers. 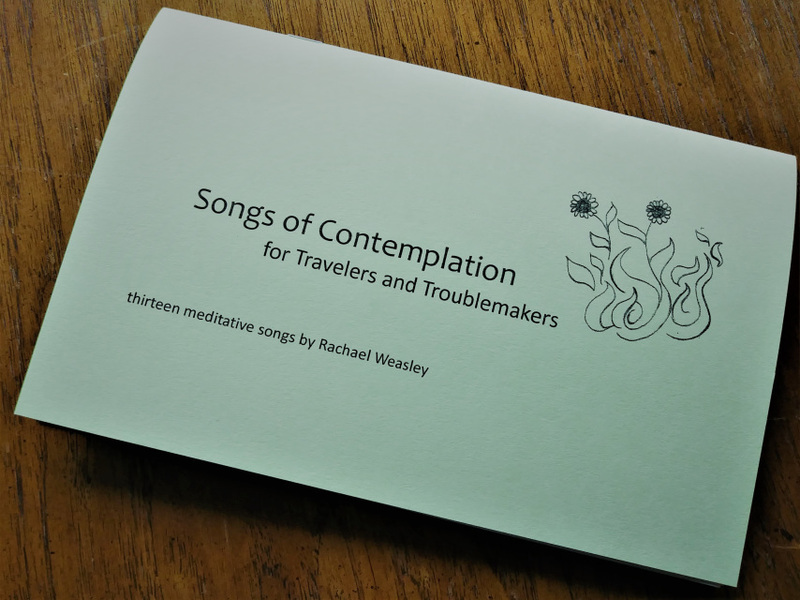 THE NEW ALBUM: Songs of Contemplation for Travelers and Troublemakers, 2018. This songbook contains sheet music for all 13 songs, including performance suggestions, source lyrics, and stories about how the songs were created. If you'd like to pay more for your songbook please click "Choose How Much to Pay" above. Then contact me to let me know what you're ordering. Thank you!